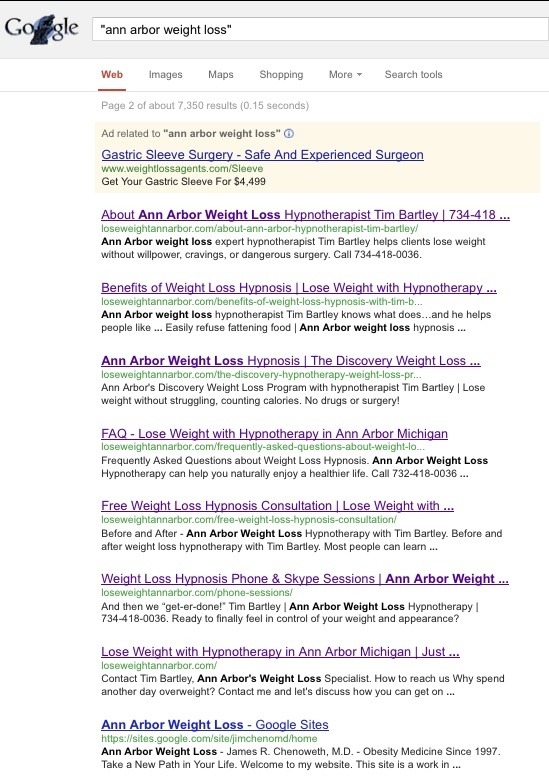 Hypnotherapist Tim Bartley wanted to attract more weight loss clients to his Ann Arbor hypnosis practice, so he contacted us for a new website and SEO services. He already had some content written, and had assembled some images. After thorough keyword research, we chose a new domain name and a new WordPress theme, installed his existing content, optimized it, wrote some new SEO content, and optimized all the images on the site. The result? 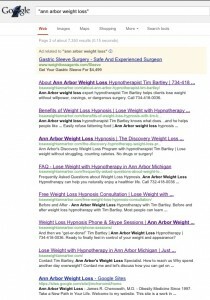 In just 30 days, the brand new site had a Google PageRank of 1, and was appearing in 7 of the top 20 Google results for his top keyword phrase.